OPEN HOUSE 19/04/20 2:00-4:00 PM. This is a beautiful building, and this is a gorgeous unit. No wasted space. Floor plan is extremely good and functional. the neighborhood of Lower Mount Royal has a Walk Score of 86. It is one of the best neighborhoods in the city. 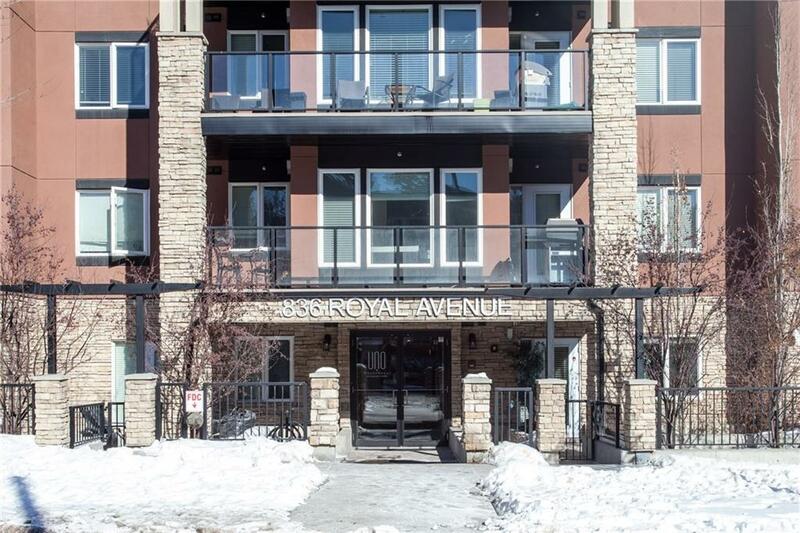 Close enough to walk to 17 Ave, the restaurants, and shops. Gorgeous wide plank flooring. Quartz counter tops. 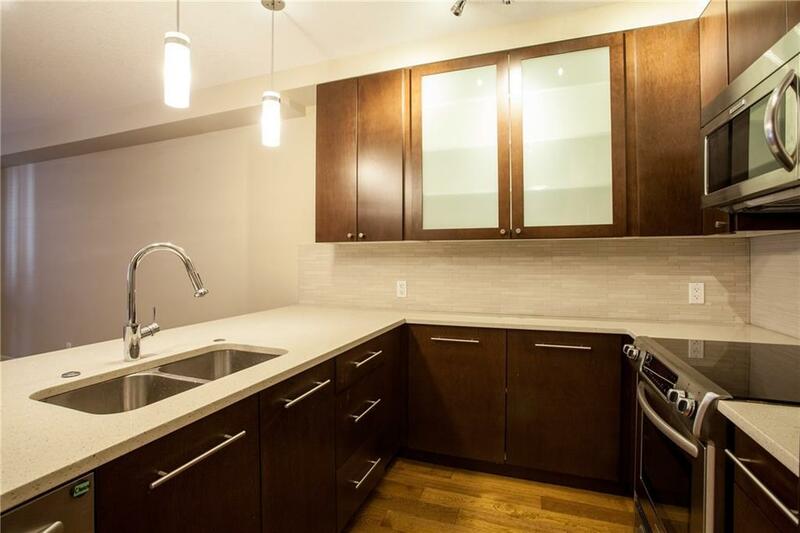 Full height, stunning maple cupboards, plenty of counter space for entertaining or cooking. 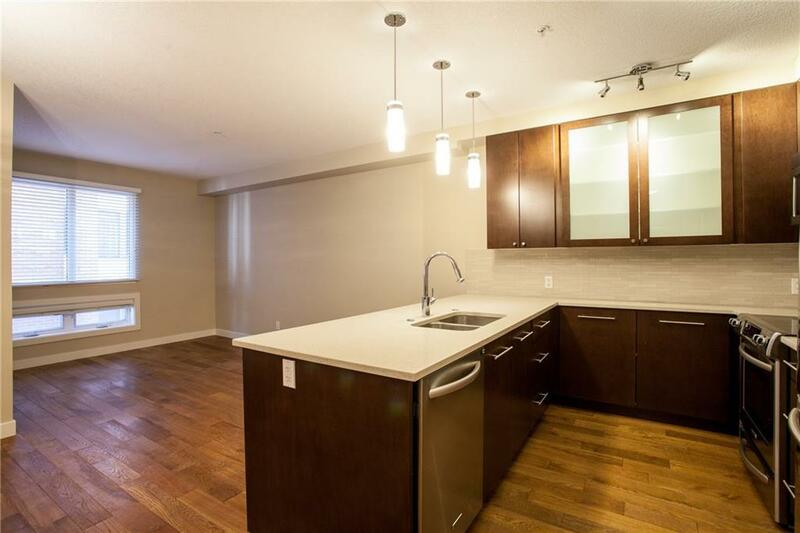 Beautiful Stainless steel appliances, plus a bar fridge. Breakfast bar, plus room for a table. With additional cupboards in D/R, a pantry, space for an office. Lots of choices. Good size living room, can you visualize a sectional in this area? Master bedroom fits Queen size bed. 2 closets for your clothes. Washer and dryer, between bedroom & bathroom. Bathroom has cheater door to bedroom and another door to the hallway. A balcony for your BBQ, with a gas line. 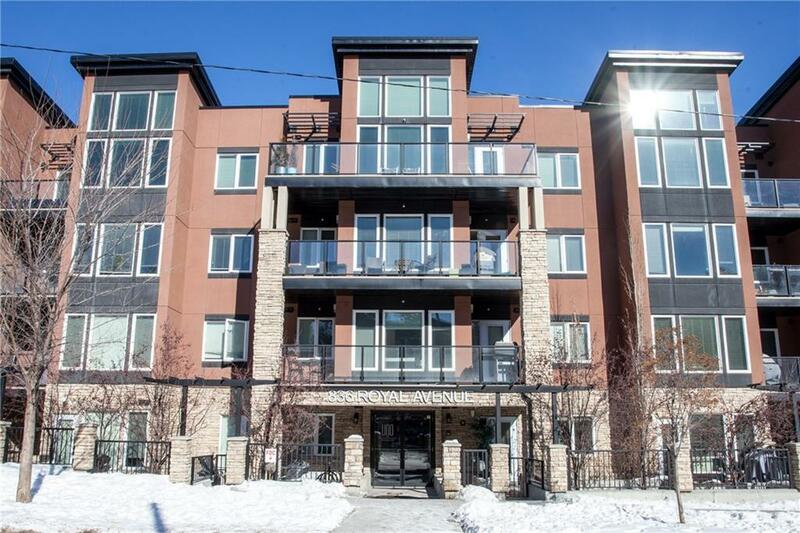 1 heated underground parking stall, & a separate storage locker.